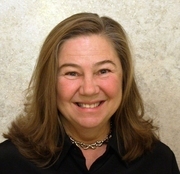 Tamara Ternahan has been a licensed real estate broker representing buyers and sellers in Oregon, for eighteen years. She has worked appraising real property in the states of Oregon and Washington for seven years as a licensed appraiser. As a member of the National Association of Realtors she is proud to adhere to the professional standards of the organization. Her real estate expertise includes vacant land sales, rural property, homes located in the Portland metro area, and REO sales. The Portland metro area is Tamara's home, growing up in Portland and currently living in the outlying area. She enjoys her family, home life, and the outdoors. She is a Master Gardener and enjoys her garden and trying out new plant varieties. Tamara believes a person’s sense of wellbeing and happiness is impacted directly by where they live. With this thought, she does her best to help her clients. As a full service broker Tamara believes every client is important. She makes herself readily available to her clients, communicates clearly, and is intent on completing every transaction in a satisfactory manner.